Patricia Jean (Smith) Rohner, age 89 of North Attleboro, passed away November 9, 2018 at Sturdy Memorial Hospital. She was the daughter of the late Roy and Mary (Lewis) Smith. Pat was born on July 10, 1929 in Milton and moved to Sharon in her teens. She was a graduate of Sharon High School in 1947. She attended Tufts University and was a graduate of Jackson College and Katherine Gibbs School. She taught 3rd grade for 5 years in the Foxborough School system. 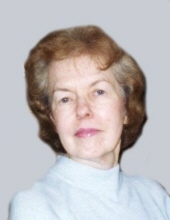 She then became employed as a secretary for the Research and Development Department at the former Foxboro Company where she worked until her early retirement in 1987. It was there she met her late husband John Rohner whom she married on August 21, 1971 at the Barton Chapel of Bethany Church in Foxborough. Pat was an avid reader and in earlier years enjoyed vacationing on Drake’s Island in Maine. She enjoyed spending time with her family. Beloved aunt of Cliff Read and his wife Tricia of Wrentham, Kathy Yurek and her husband Tom of Attleboro and Susan Aubuchon and her husband Neil of Foxborough. Loving sister of the late Beverly Read her husband Curtis. A special "thank you" to all who assisted in her care over the years. Relatives and friends are kindly invited to a calling hour on Friday, November 16 from 11 AM to 12 noon at the Roberts and Sons Funeral Home, 30 South Street, Foxborough. A funeral service will be held at 12 noon at the funeral home. Interment to follow at Mount Hope Cemetery, Attleboro. For additional information please contact 508 543-5471. To send an on line condolence please visit the funeral home web site at www.robertsandsonsfuneralhome.com. In lieu of flowers, donations in Pat’s memory may be made to the American Parkinson Disease association, 72 East Concord Street, Room C3, Boston, MA 02118. "Email Address" would like to share the life celebration of Patricia Jean Rohner. Click on the "link" to go to share a favorite memory or leave a condolence message for the family.